About 6 years ago I was convinced at a Costco road show to buy a Vitamix 5200 high-speed blender. It wasn’t a cheap purchase, but I can say that of the few expensive kitchen tools I own, I have never regretted buying it. For certain things, nothing touches it ability to pulverize food. 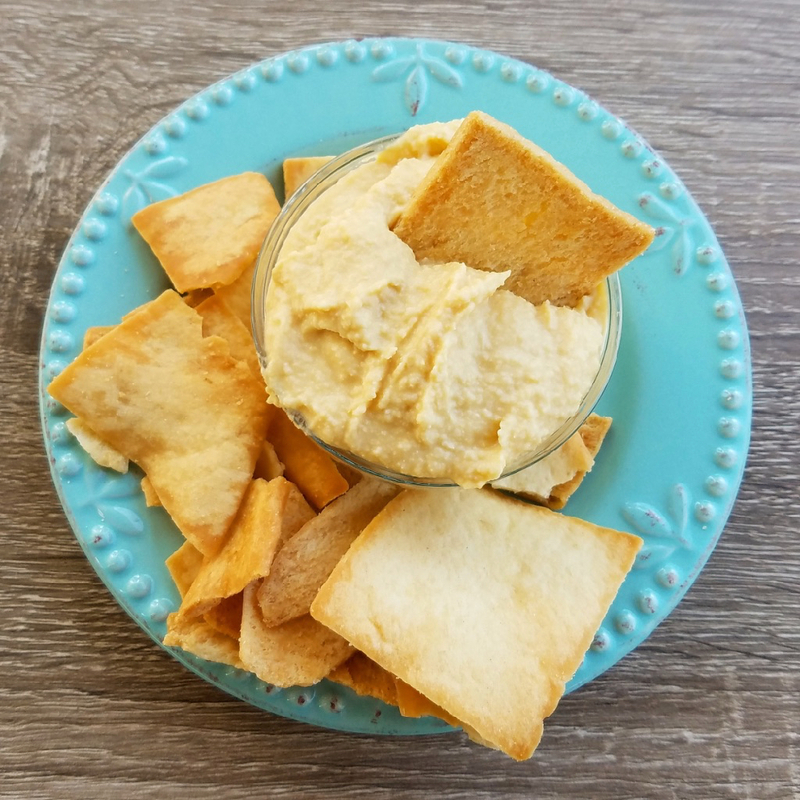 It makes some of the creamiest hummus you will ever try. Walker, our middle son, would eat hummus every day if it was there. The kid really loves it. And does he love Mama’s hummus even more? Yes he does. It’s also safe for our youngest son, Alistaire, and his food allergies. Add the beans, bean liquid, sesame seeds, oil, lemon juice, and salt into a high-speed blender, secure the lid. Blend for 1 minute, using the tamper to press the ingredients into the blades constantly. Taste for salt, add more if needed. Scrape into a storage bowl. This can be prepared in a food processor, but it won’t be as smooth. Don’t try to make it in a non high-speed blender though, you need to be able to tamp it, to ensure the beans break down.